Women's magazines fill their pages with new cake, cookie, and muffin recipes every month. 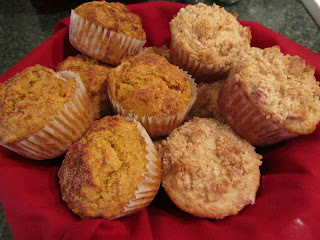 But the truth is, at least for muffins, you really only need one recipe. 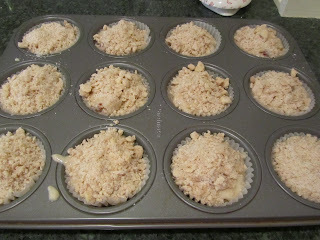 I have a basic recipe that I use for all muffins. I change it up by the extras and toppings I add. This recipe is not complicated, just a few basic "rules "to follow. A muffin needs 3 components, IMO. The basic batter, additions (these are what make it more than just a hunk of bread), and the toppings. In a large bowl, mix the dry ingredients. Make a well in the center of dry ingredients. 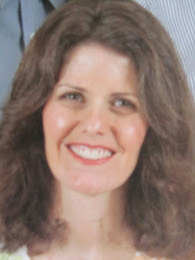 In a large (2 cup or more) measuring cup, beat egg with a fork, mix in oil (if you've beaten the egg in the measuring cup - an egg being 1/4 cup - then you can just add oil to the 1/2 cup mark). Add milk. In the well of the dry ingredients, pour in the liquids. Quickly toss all ingredients together. You want the liquids and dry ingredients to be mixed, but not smooth. 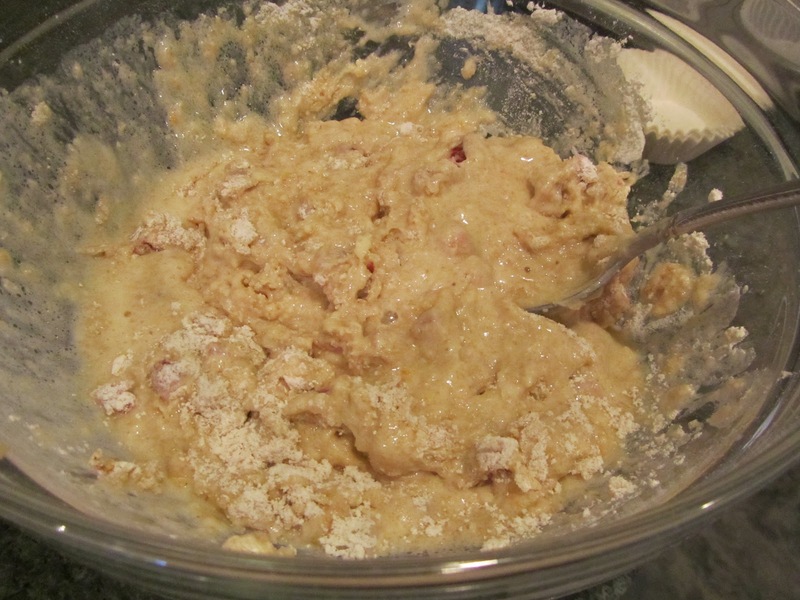 A little unmixed flour in the batter is a good thing, lumps are a good thing. It will finish blending itself as you scoop it into the tins. 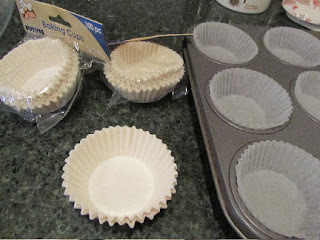 Scoop into greased or paper-lined muffin tins. Add toppings, if desired. Bake at 400 degrees F for 18-22 minutes. (I use the toothpick test for doneness.) Glaze or butter, if desired. Makes 12-15 muffins. --If it's basically a wet item (purees, juices, extracts) add to the liquids. 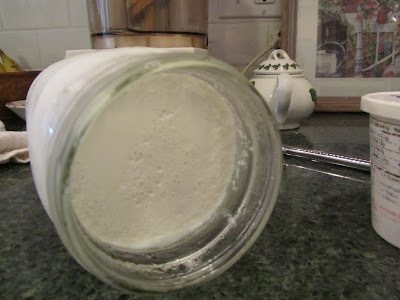 --If adding a grated or chopped fruit or vegetable, increase the flour by 1 Tablespoon. --The greater amount of sugar, the faster the surface of muffin will brown. And conversely, if using less sugar, muffins may look more pale. What kind to make today? The rhubarb sure looks good! 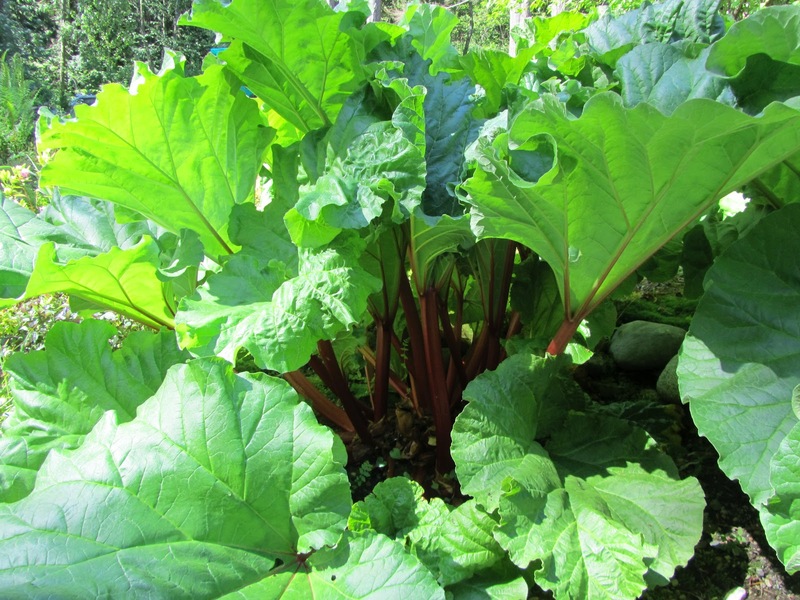 Rhubarb it is! 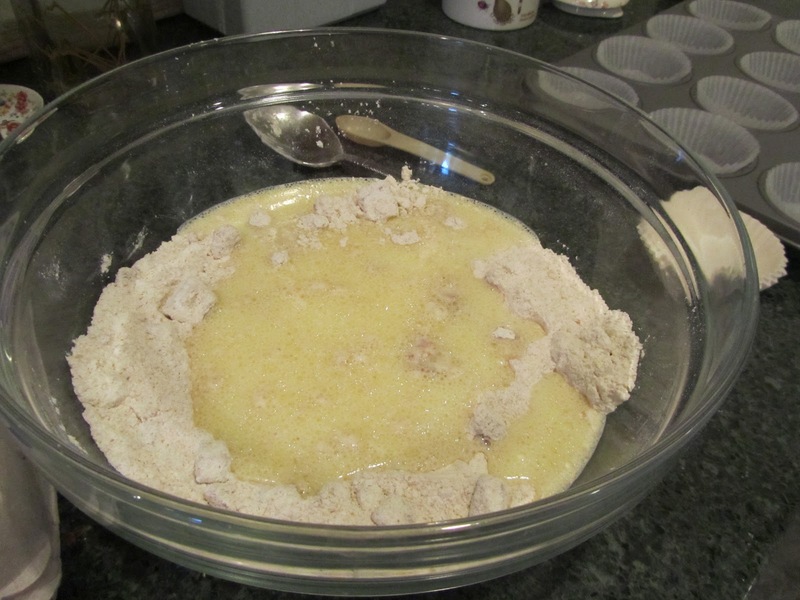 crumb topping: 1/3 cup flour, 2 Tablespoons sugar, pinch salt, 2 Tablespoon soft butter, blend all together, and add just enough water (I think about 1 teaspoon) to form crumbs. I do this in the same mixing bowl that I mixed the batter in, mashing the butter into the sugar/flour with the back of the spoon. When the muffins are cool I pack them up in a large ziploc bag and freeze. They make a quick grab-and-go breakfast, or nice addition to soup or salad for lunch or dinner.